A voice for the people or a thorn in the side of progress? 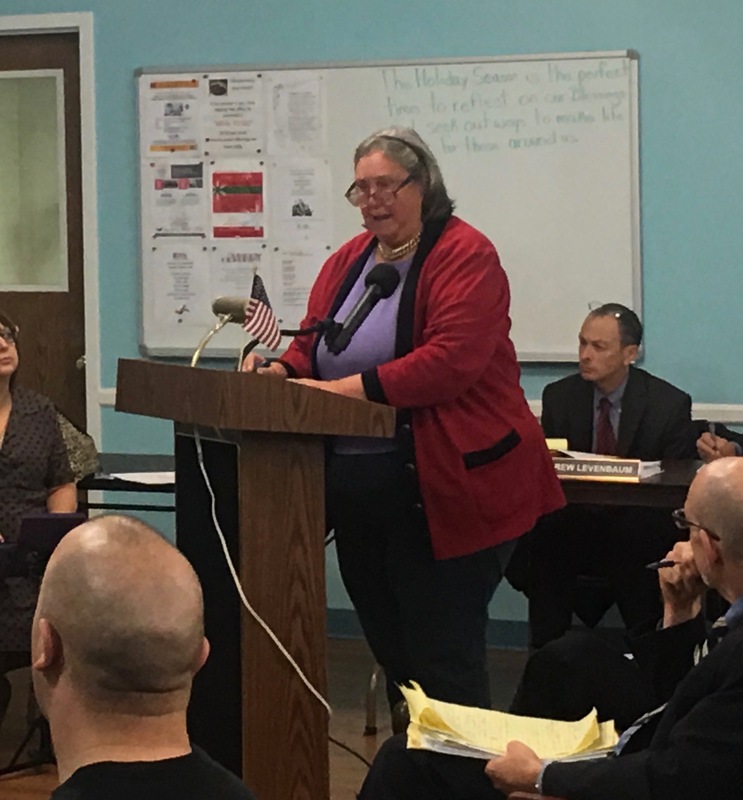 Opposing views surround the Manorhaven Action Committee’s acting secretary, Caroline DuBois, who has been a central figure in the controversies that encircle the Village of Manorhaven. This time she stands against the development of a three-story apartment building in Manhasset Isle on a property owned by prominent local businessman Peter Dejana. DuBois has raised concerns over overcrowding in the village, which the Manorhaven Board of Trustees formally recognized at a November meeting, and how the addition of new apartments will affect the already stressed water and sewer infrastructure in the village. Dejana said in a speech at December’s meeting of the Board of Zoning Appeals that the proposed apartments will address a need for housing for young people who are moving away from the village because they cannot afford single-family homes like their parents could. Since moving to Manorhaven from Oyster Bay in 2015, DuBois, 73, has made her voice heard on a number of issues: the proposed extension of mayoral terms from two years to four, a switch from the village’s use of the Nassau County Police Department to the Port Washington Police Department, and the institution of a moratorium on building on the waterfront. The committee rose with a mission to identify and act on quality of life issues that affect Manorhaven and its residents. “Civic involvement is a strong family tradition,” DuBois said. Other prominent members of the committee include former Deputy Mayor Lucretia Steele and former Trustee Dorit Zeevi-Farrington, who with DuBois make up the group’s steering committee. Both Steele and Zeevi-Farrington were members of the Manorhaven Revival Party, which held a majority on the Board of Trustees during former Mayor Giovanna Giunta’s administration. An outer steering committee, which meets less frequently, consists of Barbara Ruemenapp, Yens Ruemenapp, Tim Stammers, Barbara Mallon and Gary Maynard. DuBois said she volunteered to serve as acting secretary because of her strong background in public speaking, especially on waterfront issues. At January’s meeting of the zoning board, DuBois submitted a letter to the board alleging a conflict of interest involving the board and Dejana and raised the matter with the district attorney. She said under the advice of the office of the district attorney she is unable to disclose the information she has turned over. At December’s Board of Trustees meeting, DuBois threatened an Article 78 lawsuit against members of the zoning board and the Board of Trustees if they moved forward with approving the apartment building at 22 Sagamore Hill Drive in Manhasset Isle. Mayor Jim Avena has called the move interference with the functions of government and has questioned the validity of the Manorhaven Action Committee. DuBois said she is not against the property, but is concerned as to how it will affect the development of other vacant lots on Manhasset Isle, such as Guy Lamotta’s marina and the former Typhin Steel property that encompasses 11 acres. Members of the committee said they estimate if the other properties develop in a similar pattern to what Dejana proposes, there would be an additional 1,500 to 2,000 people on Manhasset Isle. In an interview with Blank Slate Media, DuBois said the group hopes to get the village to hold a referendum where Manorhaven residents will vote on whether the proposed Manhasset Isle apartment building should be approved.